Frederick Forsyth's haunting classic Christmas tale, read by Luke Thompson. An adaptation by Amber Barnfather, with music and sound effects by the Saint Martin Singers. 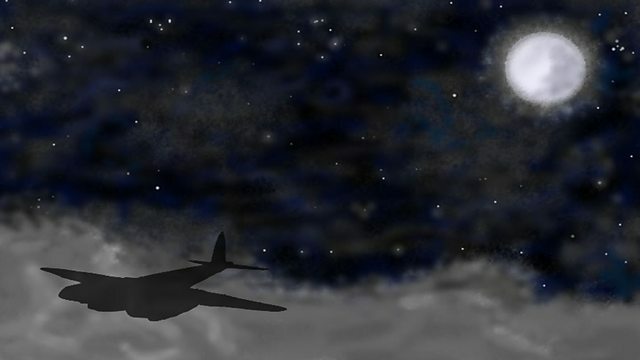 An innovative adaptation of Frederick Forsyth's haunting classic Christmas tale, read by Luke Thompson and adapted for radio by Amber Barnfather. Written as a Christmas present, Forsyth's gripping and much-loved ghost story is a moving reflection on loneliness, fear, gratitude and sacrifice. A binaural soundscape features specially recorded a cappella pieces, improvised sounds and mouth/body percussion by the Saint Martin Singers, conducted by Charles Talbot. It includes symbolic sound effects using Christmas decorations and Vampire aircraft recordings made at the RAF Museum, London. Luke Thompson's credits include lead roles at Shakespeare's Globe. In 2013, he was nominated for an Ian Charleson award, given annually to an actor under 30 for a performance in a classical play. This is his debut solo piece for BBC radio. A small, amateur choir, the Saint Martin Singers owe their origin to a few fire watchers at the church of St Martin-in-the-Fields during World War Two who made music together on the quieter nights. A Goldhawk Essential production for BBC Radio 3. "The rescue aircraft who would lead you to a safe landing was called The Shepherd"
"Below me lay the brutality of the North sea, waiting to swallow me..."